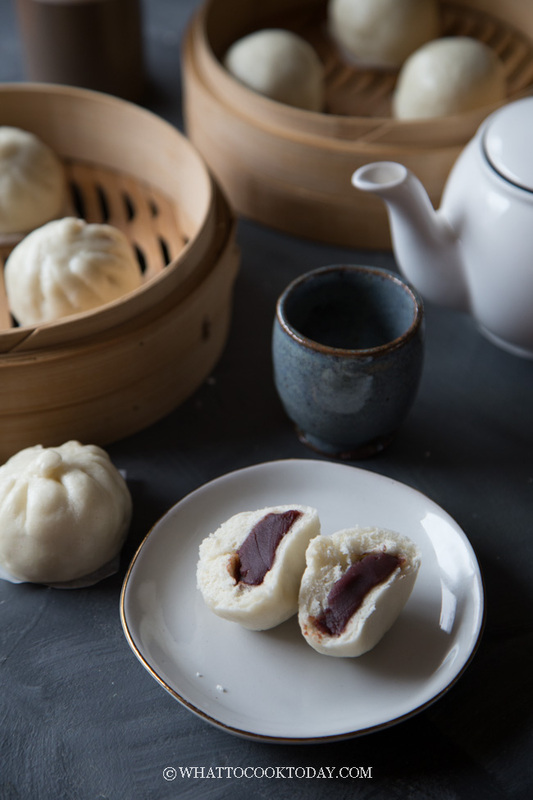 Dou Sha Bao (Red Bean Paste Steamed Buns) – Soft and fluffy steamed buns stuffed with sweet red bean paste filling. Homemade is best. 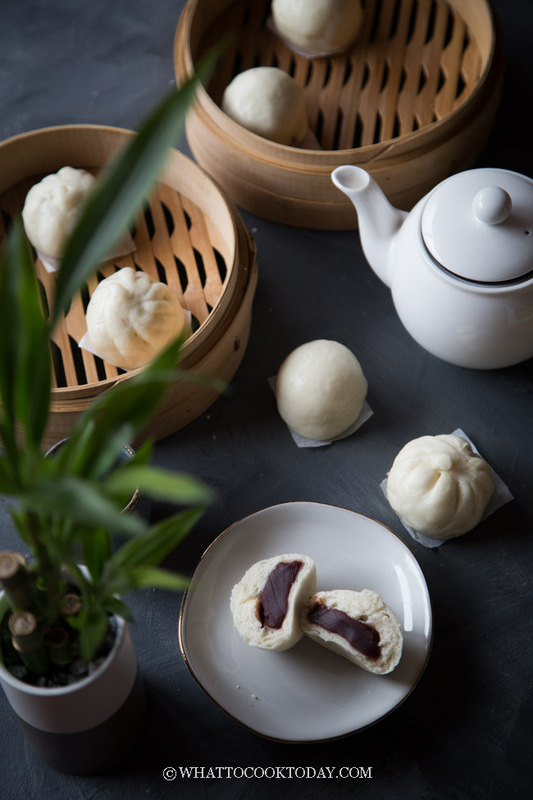 HOW TO MAKE GOOD DOU SHA BAO AT HOME? 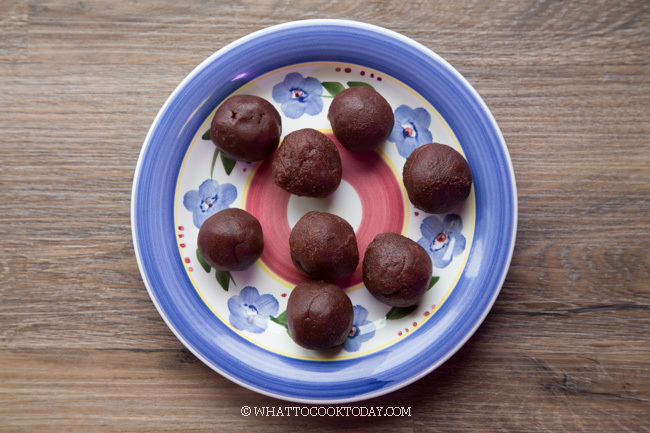 It doesn’t have to be a perfect round ball. 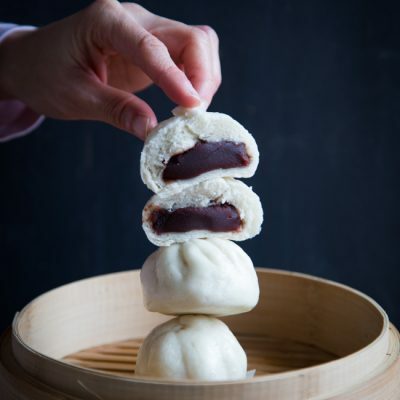 This makes it so much easier to wrap the filling later and the finished wrapped steamed buns will be “tall” and when you steam it your buns won’t appear flat and wide if that’s making any sense. 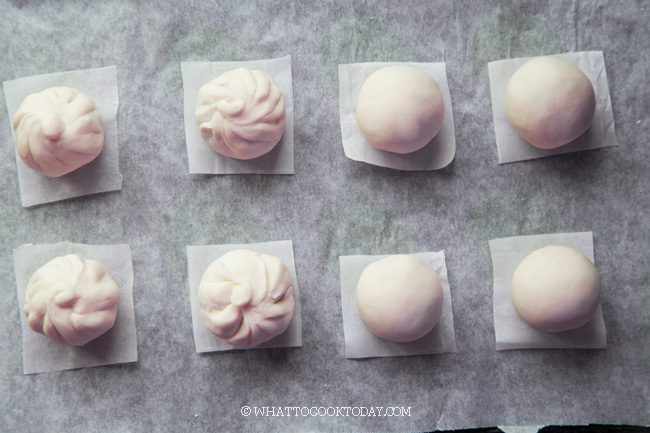 Steamed buns with filling inside will not be ultra smooth as the plain ones. 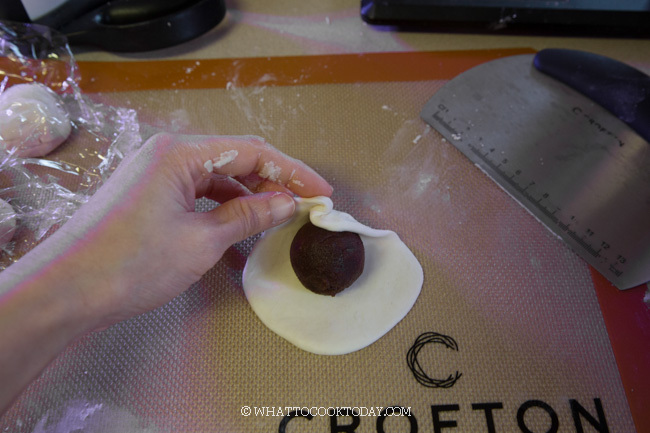 I still manage to make the pretty smooth because the filling does not have lots of moisture. Like I mention before, the moisture can cause the surface of the buns not to be as smooth and sometimes even some “burn” spots. 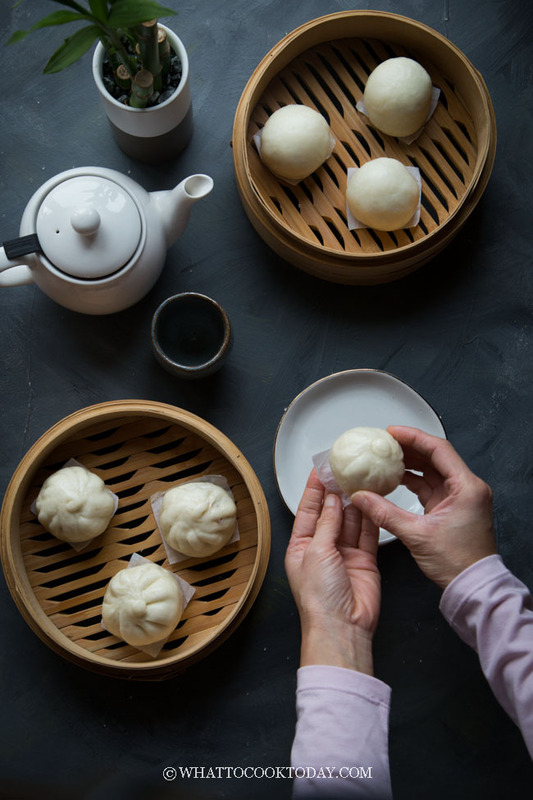 I wrote in length about most of the common issues people encounter while making steamed buns in this How to Make Soft Fluffy Asian Steamed Buns. I think it helps if you read through that first before jumping on making any steamed buns. It’s really not complicated, but sure is helpful to know some pointers. Now, let’s eat shall we? 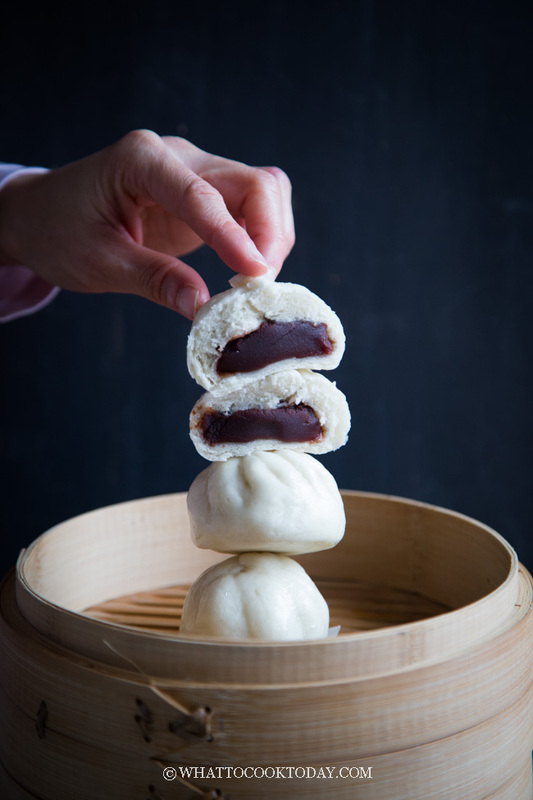 Soft and fluffy steamed buns stuffed with sweet red bean paste filling. 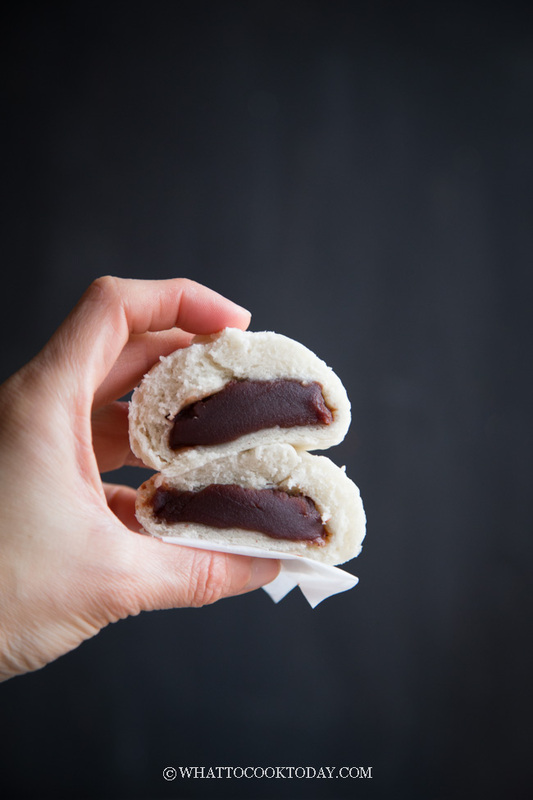 If you decide to use ready-made red bean paste, this is a good one to get! 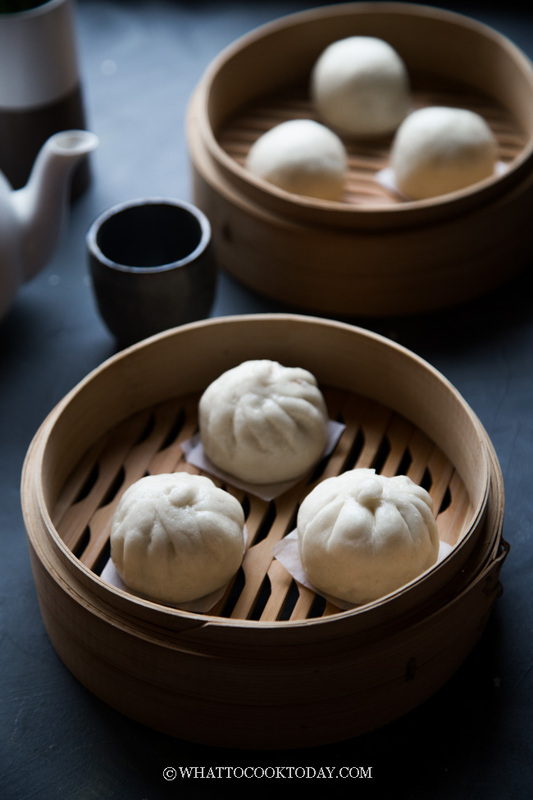 Oh, I love steamed buns and your recipe looks delicious! Oh wow, the pleats look great! 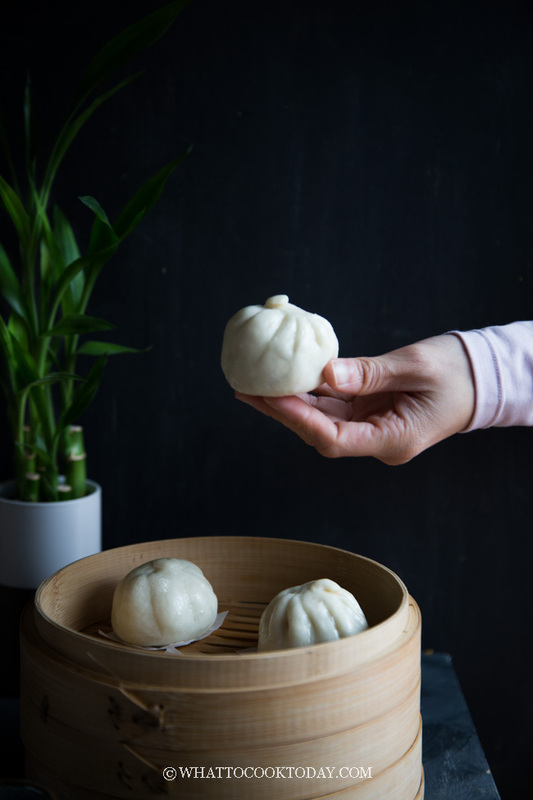 I like turning the Bao seam side down for a completely round look, but these look delicious! What sauce are these normally served with? Rory: This is considered a “sweet” bun so we don’t normally serve these with any sauce if that’s what you mean.